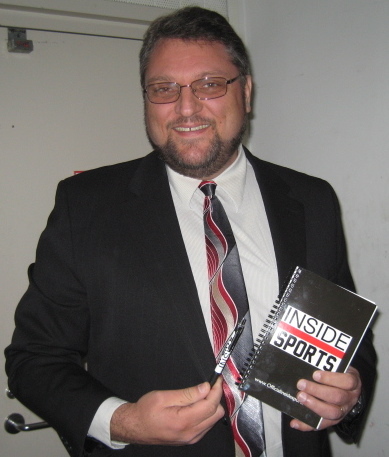 Charles E. Smith Jr. is the founder of INSIDE SPORTS. Follow INSIDE SPORTS on Twitter @ TheInsideSports. Charles E. Smith, Jr is extremely passionate about all sports. 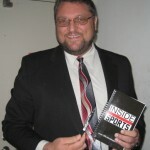 Charles created the TV show “INSIDE SPORTS” in 1994, and later wrote the weekly sports column “INSIDE SPORTS” for the San Gabriel Valley Examiner for several years. He also served as TV Broadcast analyst for the Long Beach Ice Dogs (now the Ontario Reign) from 2003-2005. “INSIDE SPORTS” has now become a weekly webcast on Ustream.TV. The weekly shows, as well as exclusive interviews with NHL players, are archived on Blip.TV, and on YouTube. 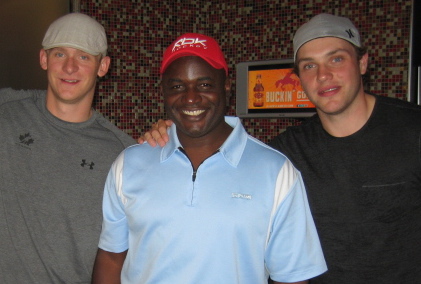 Charles can frequently be heard as a guest on ‘Duck Calls’, the official post-game radio show of the Anaheim Ducks. Currently, he also covers the Los Angeles Kings and Anaheim Ducks for Examiner.com. Despite his personal allegiances to the Miami Dolphins, Pittsburgh Steelers Los Angeles Kings and Philadelphia Flyers, he remains objective. 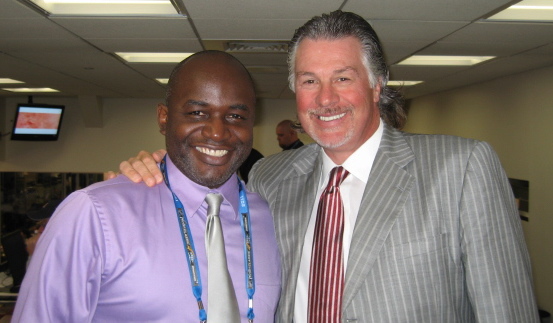 His intricate knowledge of all sports, combined with his near two decades of professional experience covering sports, allow Charles to be the perfect voice of authority on all things sports related. 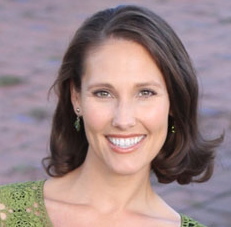 Robin Kirk is an up-and-coming broadcast host and reporter based in Los Angeles, CA. Raised in Dallas, Texas, Robin graduated from the University of Texas with a degree in Political Science. Upon graduation, Robin felt the broadcasting bug and headed west to California. She quickly landed a job as the correspondent on the all-female sports radio program, ‘Damn…Another Sports Show’. An avid sports fan for all of her life, Robin was a natural addition to the show, bringing her sports knowledge, unique wit and a fresh female perspective to the airwaves. Building on that success, Robin found work on another all-female sports program, Talk Sportz. With an eye toward television, she then began training with private coach Lou Riggs for TV Broadcasting and Hosting. She was soon hired by ESTV and Beach Cities Television as a General Assignment Reporter in Los Angeles. With her broad appeal growing, Robin was also hired to be the Game Host for the International Basketball League’s Los Angeles Lightning. Simultaneously, she began hosting the Hollywood Punch Report on Punch Television Network. Most recently, Robin has been featured on Fox Prime Ticket and Fox Sports West. 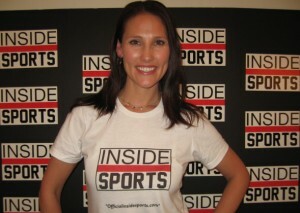 You can catch Robin weekly as co-host of Inside Sports alongside Charles E. Smith,Jr. Elisa Hernandez is a USC undergraduate studying Broadcast Journalism with a minor in communication emphasis on sports media. This will be her first season writing for INSIDE SPORTS. 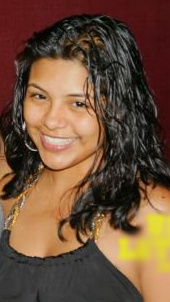 She is also a writer for her own column “Trojan SideLines” via Campus Circle. She reports for the L.A. Sparks and Annenberg Television News. she plans to pursue a Masters in Sports Journalism and become a sports sideline reporter. Jake Stevens writes the popular ‘Cheers and Boos’ column each week, and will co-host the inaugural season of The Monday Night NFL Report this fall. 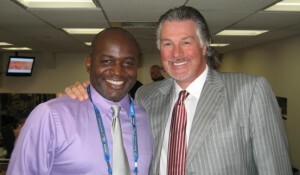 Tom Walker will again cover the San Jose Sharks and the NHL. Elisa Hernandez has recently committed to covering PAC12 College Football for INSIDE SPORTS. Jake Stevens writes "CHEERS and BOOS"
FOR ADVERTISING INQUIRIES: please send email correspondence to advertising@officialinsidesports.com and we will respond quickly with our rate sheet and information packet.